Optical trapping is the use of micro steered lasers to capture, move and manipulate microscopic and nanoscopic objects such as cells, bacteria or beads much in the same way an industrial robot manipulates larger objects in an assembly line. The OptoRobotix technology platform is extremely versatile and can be applied in numerous applications. Our technology advances allow OptoRobotix to trap and manipulate larger objects in a larger workspace at higher speeds than ever before. For the next generation of optical trapping, OptoRobotix has taken a radical new approach to design by using a counter a propagating geometry which balances the particles between two laser beams. This geometry, in combination with state of the art light modulation technology, results in radically improved performance on most key indicators. OptoRobotix’ core technologies are the proprietary and non-disclosed light illumination module (LIM) and beam shaping technology. The LIM allow a single laser beam to be split into multiple micro steered beamlets, which can be positioned independently at very high speeds with extreme precision. Generalized Phase Contrast (GPC) is a patented beam shaping technology developed at DTU is used to efficiently shape an input laser light to suit the individual applications. Applications of GPC beyond cell sorting are being pursued with OptoRobotix’s tech-transfer unit, GPC Photonics. GPC’s ability to form contiguous speckle-free user-defined light patterns allows contemporary brain research such as neurophotonics and optogenetics. Recently GPC has been highlighted by Hamamatsu Photonics for its promising applications of their world leading spatial light modulators (PDF). The OptoRobotix technology platform is an updated form of optical trapping which builds on a discovery done by Arthur Ashkin at AT&T Bell Labs in the US in 1970, which showed that microscopic particles can be moved or levitated by transfer of momentum from a beam of light to the particle. This means that it is possible to use laser light to trap, move and manipulate microscopic objects such as cells, beads or microtools with attached micro sensors. 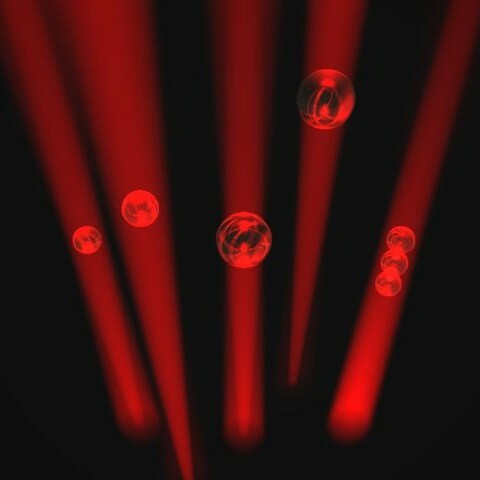 Using modern light shaping techniques, a single input laser beam can be shaped into multiple beams each individually addressable in three- dimensional space creating numerous laser ‘robotic’ hands for object manipulation. Optical trapping has successfully been applied commercially as “optical tweezers” through the past 10 years largely as an accessory for high end microscope platforms. The optical tweezers concept uses a tightly focused laser beam to trap the objects. However this approach has serious drawbacks, which severely limit possible applications notably very short working distances and potential damage from the high intensity tightly focused beams on biological samples.